A little over a year ago, The A.V. 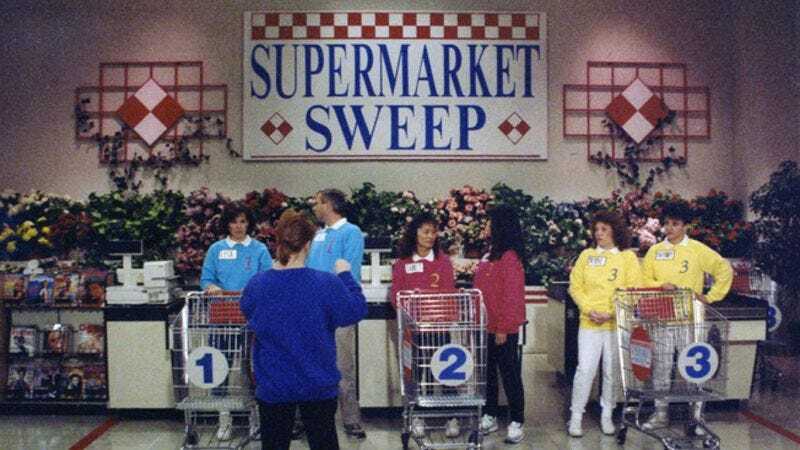 Club ran a piece where we talked to Mike Futia, a onetime contestant on Supermarket Sweep. In between revelations about fake hams and turtleneck dickeys, we learned just what it was like to be on the show, commercialism and all. That’s something a new video from Great Big Story dives even further into. The clip catches up with the show’s onetime host, David Ruprecht, who’s just as charming and capable of affably jogging as ever. Though nothing Ruprecht says is that surprising to anyone who’s television-savvy, he does weigh in with his preferred strategy for Sweep victory, which—we have to say—is pretty darn smart.